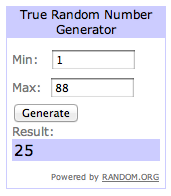 Tri-ing to be Athletic: TriForever Giveaway Winner! And that comment belongs to Laurel C! You can get that Pony Up hat now :) I couldn't find your email so I sent you a DM on Twitter (I'm @triingathlete). Please contact me so I can get you in touch with TriForever this week! Congratulations to Laurel! Though I am disappointed, I do sincerely congratulate her on her win. Erika: Don't buy yet! I'm going to have a promo code for you guys!